I just wanted to share a quick picture of a M&F Stubby set and Simpson Fifty set together. The M&F set I'm sure is familiar as it is half of Ben74's set. I was the second, and now fifth owner of the set. I couldn't pass up seeing the M&F set together one last time being as it was so close to me, and always loved the largest one. I just happen to have a set of Fifty brushes too that I hadn't decided fully what to do with yet. 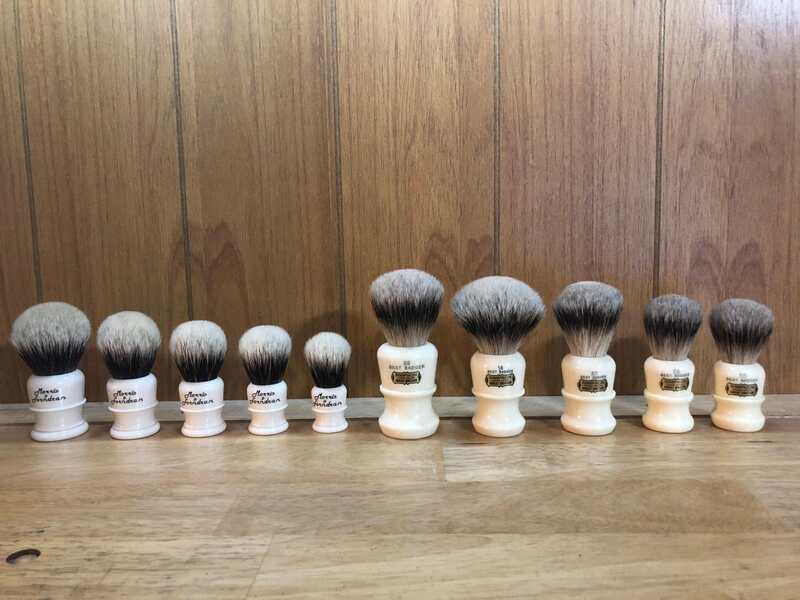 There's just something extra special to me about seeing the same brush handle going up in progressive sizes that is extremely satisfying, and what better to do than to take a picture of them together? I hope that you'll enjoy the photo!